Show off your passion for photography with this clever Betsey Johnson camera inspired bag. 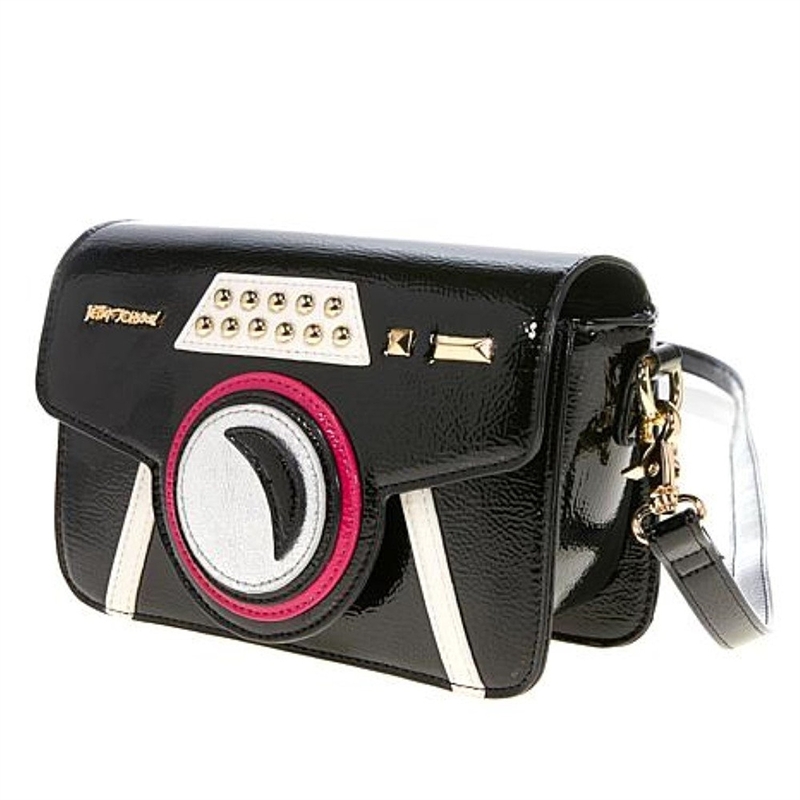 Its compact shape features a lens and flashbulb design, and is roomy enough to carry all your essentials. 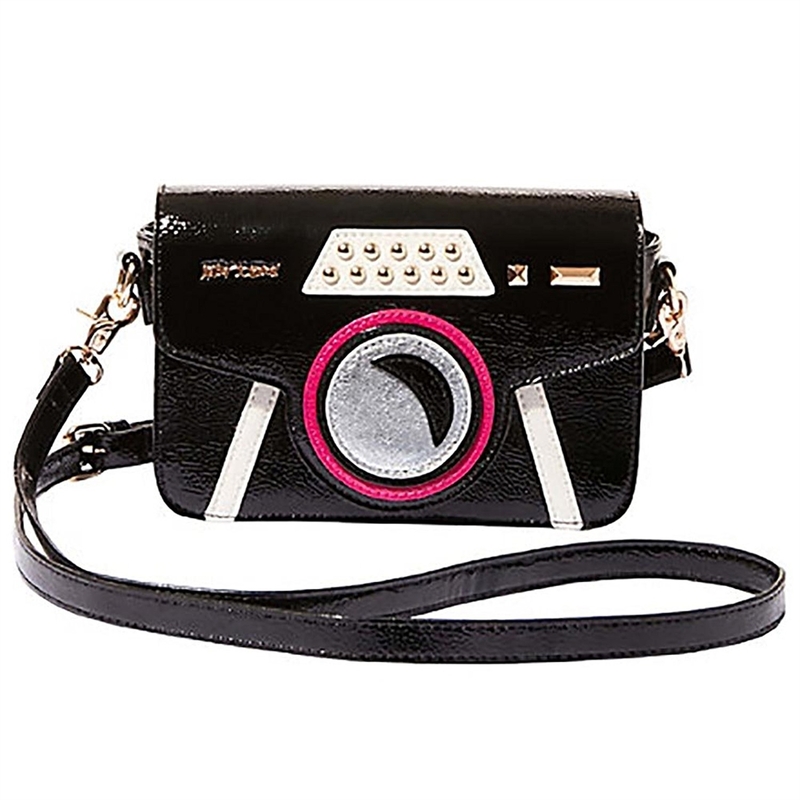 Crossbody shaped in a vintage camera. Front appliques in a camara motif. Front logo plaque. Custom golden hardware. 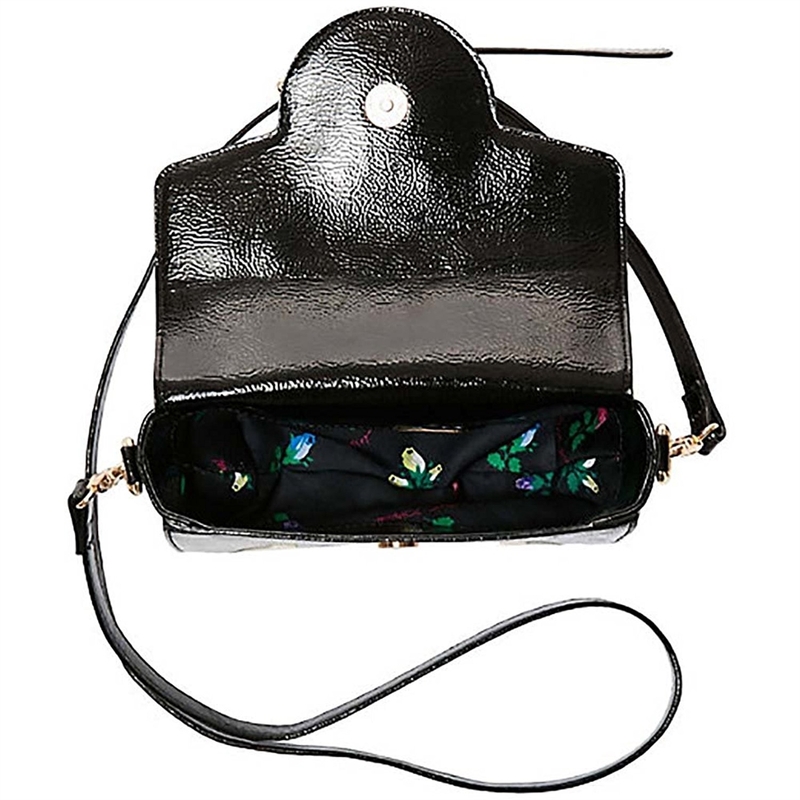 Chain link & webbed crossbody strap, 21" drop..